Returning to Abingdon after a couple of days away we were greeted by the bells of St Helen’s Church. Tuesday is the weekly practice for the Abingdon Bell Ringers. 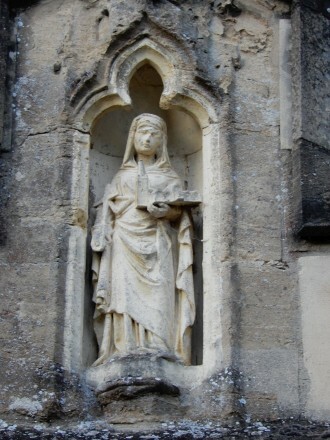 St. Helen, the mother of Emperor Constantine, is not only remembered as the name of the church, but also in the road names: East and West St Helen Street, and more recently St Helen’s Court. 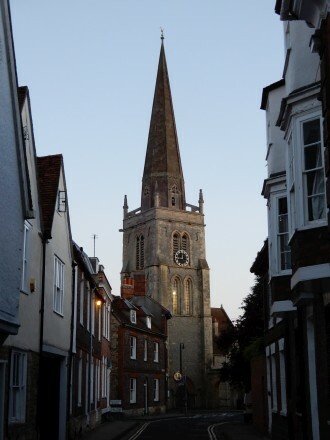 The current ecclesiastical parish is called Abingdon-on-Thames, following the separation of the Parish of North Abingdon two or three years ago. 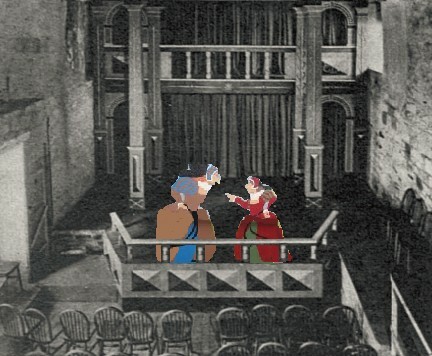 In earlier times St Helen’s parish got divided into Abingdon Borough and St Helen without the borough. St Helen Without includes Dalton Barracks, Shippon and Dry Sandford. 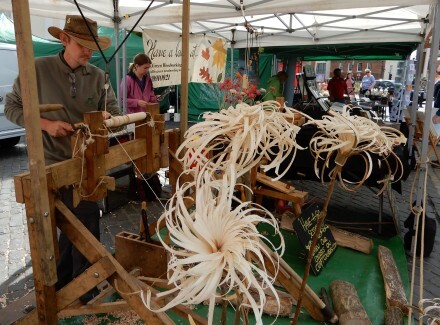 The craft market on Abingdon Market Place this morning including all the usual craft stalls. 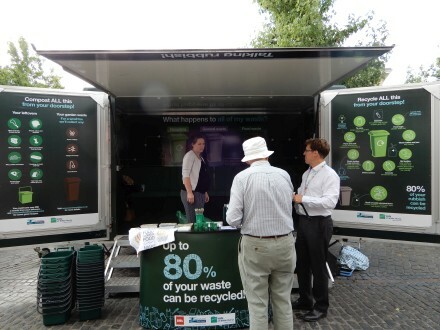 They were joined by the district council’s recycling team, giving out advice on what could be recycled. I also got a replacement food bin as ours went missing. 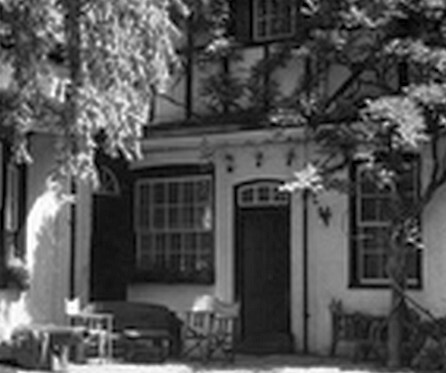 It was easy to recognise as it has a stripe of pale green paint, and a hole made by sharp little teeth – a rat once escaped after getting locked in. 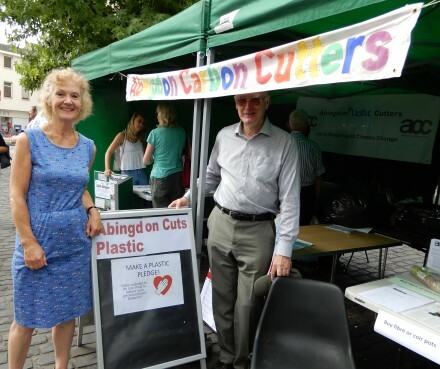 The Carbon Cutters were encouraging people to cut down on plastics, and had a fact sheet about gardening without plastics. 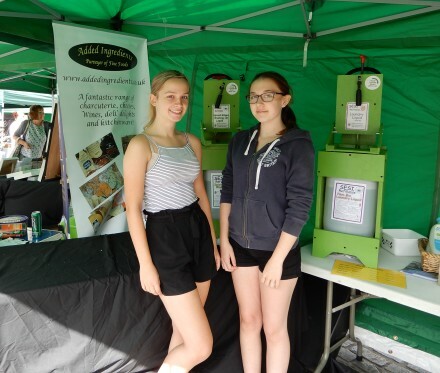 Added Ingredients were demonstrating their refill technology, which allows detergent, conditioner, and washing liquid to be refilled into empty bottles, cutting down on plastic waste. I know of three cannons that were on display in Abingdon, all of which, I am told by long gone family members, were captured during the Crimean War. Two were taken away for scrap metal in the 2nd World War. 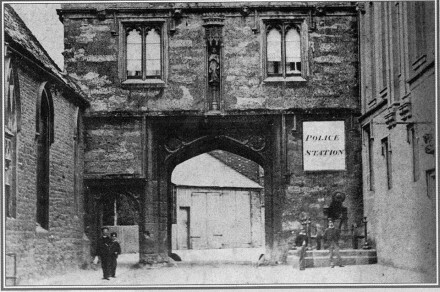 The second and much smaller was in the court yard of the Crown & Thistle and I vaguely remember this one. The third and most impressive sat on a purpose made plinth in Albert park. I remember the now gone empty plinth and the inscription “Sevastopol” upon it. 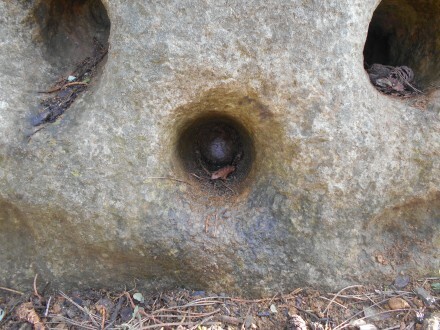 Thinking of cannons brings this boulder to mind. 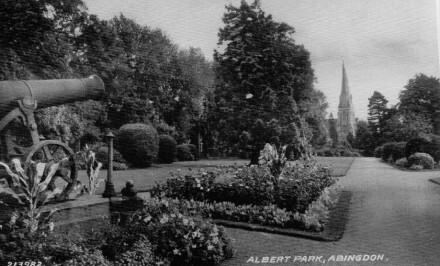 It is in the Abbey gardens next to Trendell’s Folly. Look carefully and you can see cannon balls embedded in it. We were told they were from the civil war but i’m not so sure. The rock doesn’t resemble anything else in Abingdon which makes me wonder if Mr Trendell, rich as he was, had the boulder, complete with cannon balls, brought in to enhance his folly. I lost count of the number of pen knife blades I broke trying to get one out! 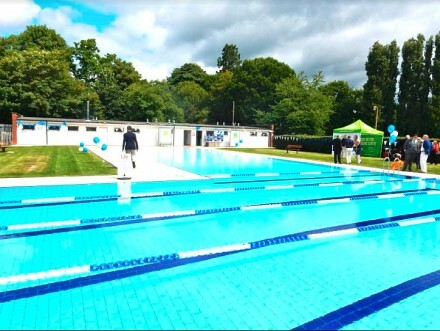 Abingdon’s Abbey Meadow outdoor pool will be open for longer on weekdays after proving to be a huge hit since its £1.3million refurbishment by Vale of White Horse District Council. Since it reopened on 16 June, the pool has hosted more than 13,000 swims with many sessions fully booked. The exceptional weather combined with the popularity of the new facilities has prompted the council, following discussions with GLL – which runs the pool on the council’s behalf – to announce it will extend the pool’s opening hours. From Thursday 2 August the pool will open from 8.30am until 7pm, Monday to Friday – that’s an extra half an hour in the morning and an extra hour in the evening, which the council hopes will give people more time to swim. In order to allow GLL to re-populate its online booking system with the new extended times, online booking beyond 2 August will only be available from Monday 30 July. 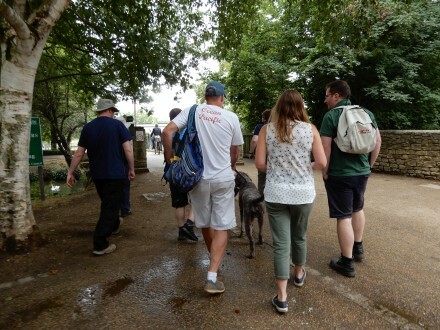 On Saturday morning, members of Abingdon Drama Club (ADC) set out on their eighth annual walk to Oxford along the River Thames Path. 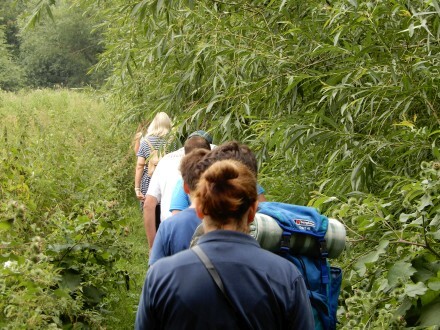 I last saw them as the headed down a path less traveled below Barton Fields. 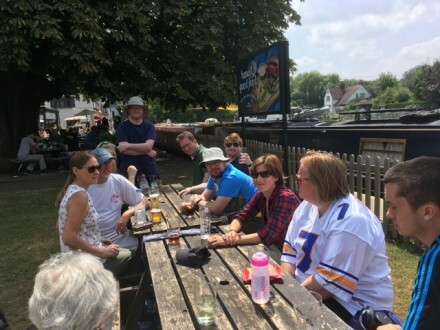 Kevin, the walk leader, sent me this picture at the King’s Arms at Sandford Lock. He said“The clouds parted a little later and it became another hot and sunny day”.